The more you learn about movement, the more you can help your clients. Naturally. As a health professional, you have at heart to fix your patients for good. It is easy to get frustrated by the difficulty to solve their persistent, structural problems in a sustainable manner. The same injury keeps coming back time and again. The back goes out, the knee keeps aching, etc. Often, the source of these recurrent physical issues is a chronic lack of movement. Corrective exercises even are seen as just another uninteresting chore to them. Learn to educate your patients to the movement behavior and lifestyle essential to make your treatment highly effective and lasting. Prescribe movements that are naturally corrective and support structural health. Movement gets to the root of our problems, it presents a total synthesis of health, exercise & lifestyle. 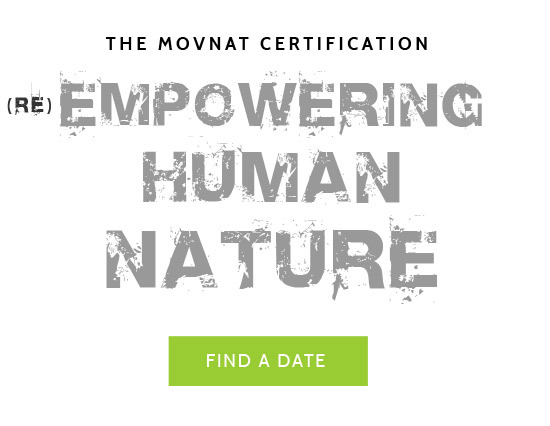 Learn to EDUCATE your patients with Natural Movement based exercises for actual, sustainable change in their movement patterns, habits & structural health.